California law increases the punishment if you are driving under the influence of alcohol or drugs and cause an accident resulting in an injury to a person. California Vehicle Code Section 23153(a) raises a simple misdemeanor DUI into a felony DUI if there is an injury that occurs to a person which is caused by the use of alcohol or drugs. Los Angeles DUI prosecutors tend to file all DUIs occurring in the County of Los Angeles as felonies if there are any injuries at all, no matter how slight, to the victim. While the punishment is severe, there are defenses to these crimes and a Los Angeles DUI attorney who specializes in these offenses will be able to counsel you on the various facts that negate these crimes. 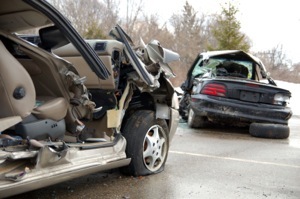 The penalty for "DUI with injury" depends on the number of persons injured, as well as the extent of their injury. The court will impose an additional year of confinement for each person that is injured. However, if the person is seriously injured as a result of the DUI, then the prosecutor will file an enhancement for "great bodily injury." A DUI and a DUI with injury will increase future penalties if you are charged and convicted in the future. For that reason, it is important to hire a Southern California DUI attorney to aggressively fight your DUI.